Patricia Clarkson arrives at the 76th annual Golden Globe Awards at the Beverly Hilton Hotel on Sunday, Jan. 6, 2019, in Beverly Hills, Calif.
Clarkson will lead the carnival organization’s 19th parade on Feb. 28 at 6:30 p.m., riding along the Uptown route in the Krewe of Muses iconic 17-foot-tall red pump. 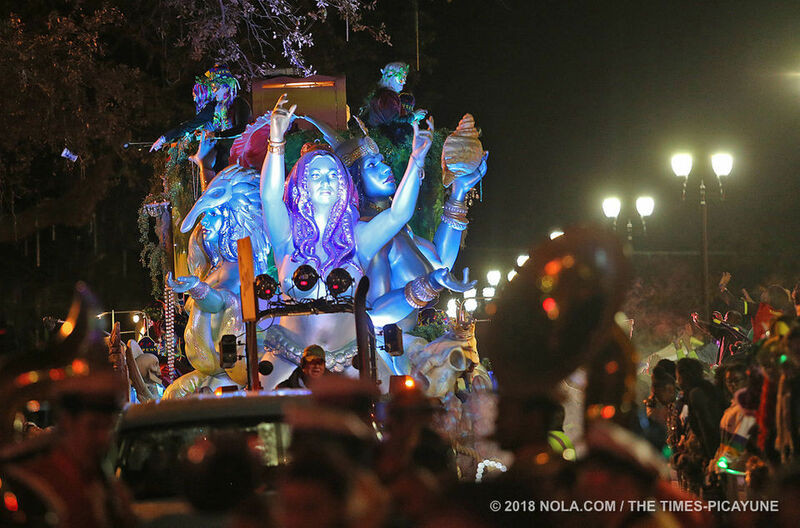 Clarkson is the first repeat honorary muse in the krewe’s history. She also held that honor in 2012. Before that, she reigned as the celebrity monarch for the Krewe of Orpheus in 2007.